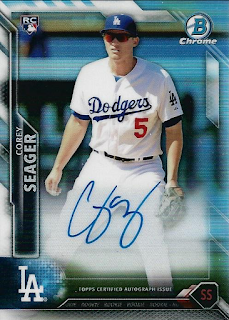 Following up on the base cards I shared last week, below are all of the various Dodgers insert cards that are available in packs of 2016 Bowman Chrome. There are a ton of prospect autograph cards; including Yadier Alvarez, Willie Calhoun and Oneal Cruz. 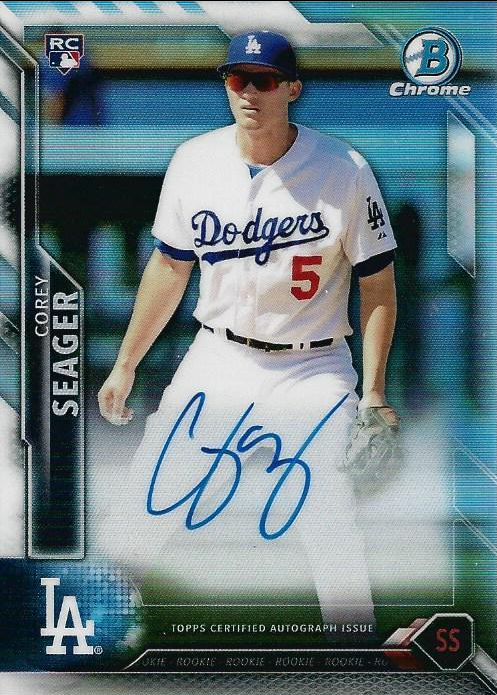 In fact, these are the first certified autograph cards for both Calhoun and Cruz. 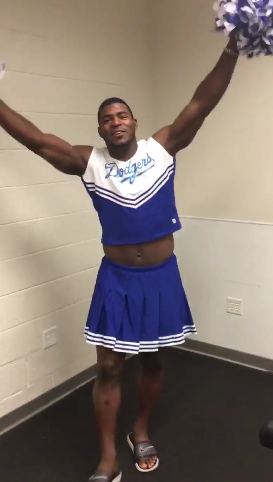 As you no doubt heard, the Dodgers held their annual "rookie hazing" spectacle on Sunday evening - after their shutout loss to the Marlins. 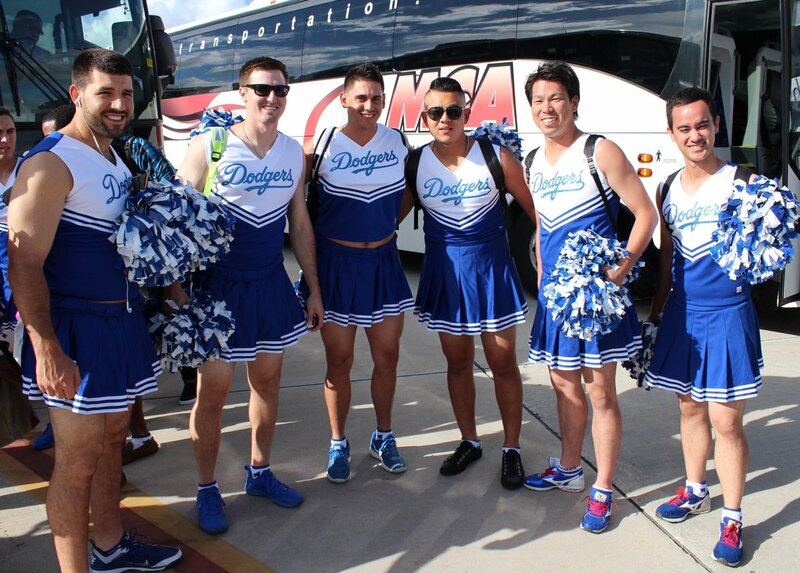 Above is one of many pics of the guys that are circulating around the 'net. In years past this event was held during their roadtrip to San Francisco. This time, however, they decided to have fun with the rookies during their trip to New York. This Day in Dodgers Baseball: In 1930 Dodger catcher Al Lopez hit the Major Leagues last bounced home run. Before this day "ground-rule doubles" were recorded as home runs. In 2000 Dave Hanson broke former Dodger Johnny Frederick's record for pinch-hit home runs during a season with his seventh homer of the year against Curt Schilling of the Diamondbacks. BTW, Johnny Frederick set his record of six homers on this exact same date in 1932.